To provide students the opportunity to have art in their lives, to learn art in most lovable and playful mode and increase their skills and knowledge of various art mediums, to learn to draw using a proven method, KidzArt entered India four years ago. 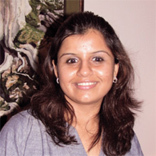 In conversation with Ekta Verma, Dishita Vora, Director, KidzArt, shares the genesis of this venture and the road ahead. Tell us about KidzArt. How did it enter India and grow over the years? KidzArt is a North-American based art academy. It has been present in the market since the last 20 years and has more than 200 units worldwide in 11 countries. It is a fun, unique and confidence-building drawing programme for preschoolers through seniors. Our mission at KidzArt is to provide students of all ages (2 to 90 years) with the opportunity to have art in their lives; to learn art in most lovable and playful mode and increase their skills and knowledge of various art mediums; to learn to draw using a proven method. Each class is conducted by our KidzArt-certified instructors. We have been repeatedly winning awards for the last few years and the latest being the Best Education Franchise in 2013 in USA. Our family, based in the UAE, took the master franchisees for KidzArt and eventually took rights for Maharashtra too. It has been four years since we started in Mumbai. It has grown exceptionally well where we started with one unit and now have seven company-owned units between Colaba and Borivali. How many centres do you have at the moment? We have seven centres between Colaba and Borivali. What kind of training and related business support do you intend to offer to the franchisees? The training will be imparted one time and will run over the period of one week where we train the business owner and two other people. The training would include conducting a KidzArt class, KidzArt business center and the curriculum format, training in recruiting, administrative and financial methods with our professional guidance and customized business tool. A follow up training will also be held where our head of training will visit your centre on a monthly basis. What marketing strategies do you plan to adopt to cope with the competitive market? We believe that there is no competition to the KidzArt market. However, we have done various marketing strategies like social media; participation in educational and children based fairs. Word of mouth has tremendously helped in the growth of the business. What is the investment and area required for opening a KidzArt franchise? Also share the break-even and RoI. This business can be home-based also.The investment required is Rs 5-8 lakh and most of it is running operation cost. Other than the franchise fee that includes training, soft formats of advertisement, initial material required for startup, the initial cost will comprise advertisements for programme/recruitment of teachers and inventory of materials to be maintained. The expense for each cost head will be different in different regions. The area required is 200 sq ft approximately. The break-even is usually less than a year. What are your expansion plans? Are you targeting some particular cities or regions? We are targeting entire Maharashtra since we are the master franchisee for Maharashtra. We plan to open 60 franchisee-run units within the next two years. KidzArt has a progressive, organized and time-tested curriculum. Children are introduced to several art techniques and mediums. More importance is given to brainstorming and problem-solving skills in classes which help children to build their self-confidence enhance creativity and bring out the uniqueness of each artist. Students are taught that there are no mistakes in art.